. يقدم كويست ساوث بريسبان خدمات لا غبار عليها وكل أشكال اللياقة وحسن الضيافة اللازمة لإسعاد ضيوفه. يمكن لضيوف الفندق الاستمتاع بالميزات التالية على أرض الفندق: عقار لغير المدخنين. تنعكس أجواء كويست ساوث بريسبان في غرف الضيوف.خزانة, مناشف, تلفزيون بشاشة مسطحة, صوفا, بياضات هي بعض الميزات الموجود في العديد من الغرف. كما أن مجموعة الخدمات الواسعة الموجودة في الفندق لضمان راحتك تترك لك الكثير من الخيارات لقضاء وقتك أثناء فترة إقامتك. استمتع بخدمات لا يعلى عليها وعنوان ذو اعتبار في كويست ساوث بريسبان . يرجى ملاحظة أن هناك رسوم بقيمة 1.5% عند قيامك بالدفع ببطاقة ائتمان. سيطلب من الضيوف عند تسجيل الوصول إظهار بطاقة هوية تحتوي على صورة شخصية وبطاقة ائتمان. يرجى ملاحظة أن جميع الطلبات الخاصة ستكون رهنًا بالتوافر وقد تستلزم تكاليف إضافية. This is a great apartment block, very well located. Fantastic value for money (if you book early) . However it was disappointing that the treadmill in the gym was out of order as its not a great area for walking around. Best Steak in Brisbane close by at the Morrison. Easy to access from the freeways. Parking is reasonable @$15 per night. Everything was fine. However I was a little alarmed by the size of the security deposit($430) that they required to place on my credit card. Also they told me that it would take 3 to 4 days for it to be returned after my stay. Firstly it's not actually call Quest apartments. There is a bit of a funky smell in the building. If you don't mind a walk Southbank is about 15mins. Alternatively there is a few pubs just minutes walk away and there is a coffee club about 5 minutes walk for breakfast. This hotel is excellent : the room is very large with everything you require. The view across South Brisbane is good. 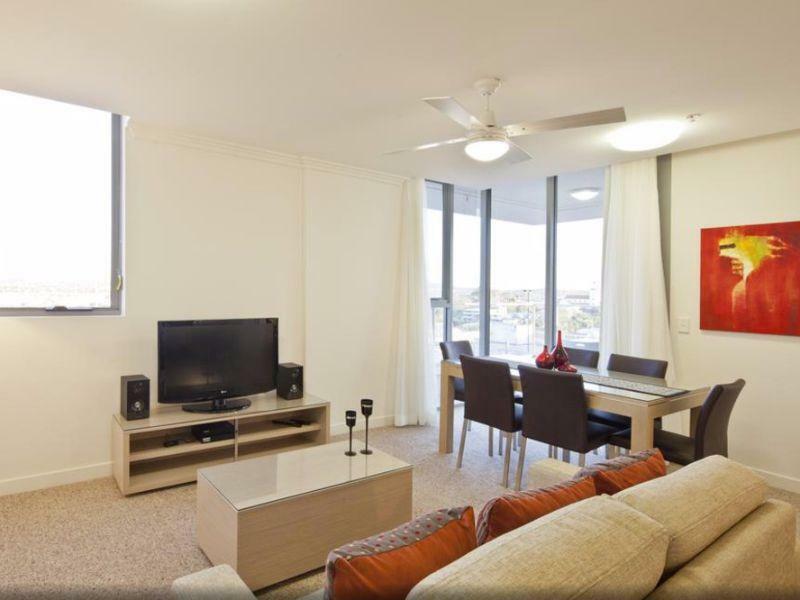 The hotel is close to everything including South Bank and the Kangaroo Point Cliff walk. We were more than happy with our room. The outlook was great from our balcony with no other apartments blocking our view. Absolutely recommend this establishment to other travellers wanting to stay at Southbank and close to The Riverstage for concerts, just a short stroll over the bridge. Tastefully decorated, modern, studio room with fridge, kitchenette and comfortable bed. Undercover parking available for $10. Within walking distance of restaurants, cross-river free ferry (gives access to Eagle Street Restaurants) and Mater Hospital. Interesting location. Excellent, knowledgeable staff at Reception. Check-in was super efficient and quite fast; they had booking paperwork ready and waiting for their guests to arrive. The photocopied local area map was helpful. No on-site dining but walking distance to restaurants. Would definitely stay here again as we were very impressed. I've stayed here quite a few times. Hard to say anything new about the place so I'll just repeat my previous reviews. It's close to the CBD, the rooms are clean and self contained which means I can cook my own food and wash my clothes, which is exactly what I need. Perfect for solo or business travellers. 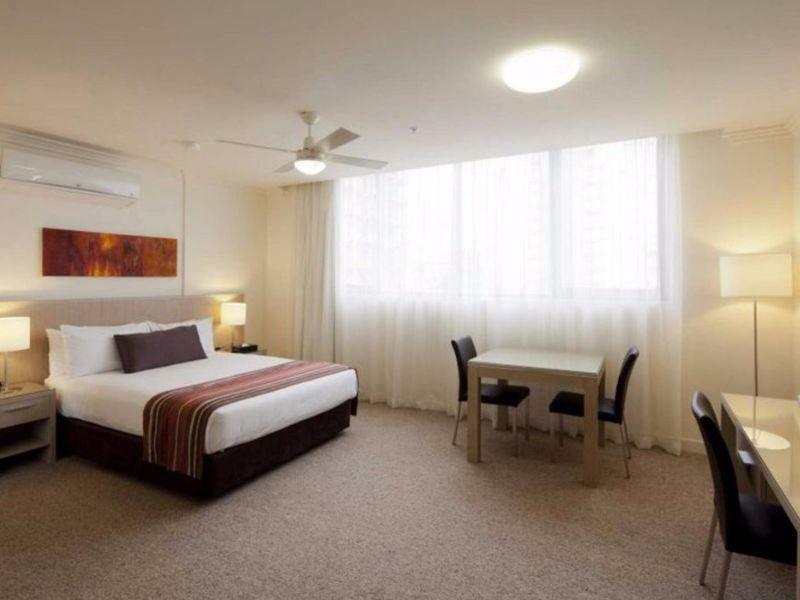 I've stayed here before and I enjoy the convenient location, it's close to Brisbane CBD but not in the centre of it. I usually stay in one of the self contained rooms which means I can cook my own food as well as wash my clothes. Good but did not really cater for children under 5 years. That is no facility or flexibility to have a bath or portable bath at least for our 6 month baby. If you had this then we would have rated the hotel much higher. It is the little things for young family that makes the difference in coming back. Staff were really good though. The apartment was very big. It has a huge balcony and in general the rooms are well equipped and very new. The location is not bad - nothing is special about it, but it's not too far from the city and the entertainment area of South-bank. I forgot the card (key) in my room when I went to buy something to eat after 22:00 p.m. When I got back nobody was at the reception. I called the number that was left and found out that someone can come to let me in back to my room, however it took an hour and I had to pay 120$. Good, no issues to report. Staff are very friendly and atentive. The rooms are a good size with all the conforts of home. The kitchenette was very useful for my both the 1 week and then 2 week stays. I would recommend a stay here if you wish to visit the South Bank or Gabba. New, clean & comfortable. Good location. Free wifi. I was happy to have found Sudima as the overall experience was very good. It's a new property, very clean and comfortable. There is free wifi which is quite fast and a small gym. There is several eating joints a short walk down hill. There is a very good restaurant called Morrison Hotel which offers some good food. I like the pasta marinara and salmon which were very good. Parking is available onsite for A$10 per day. Would recommend this property. 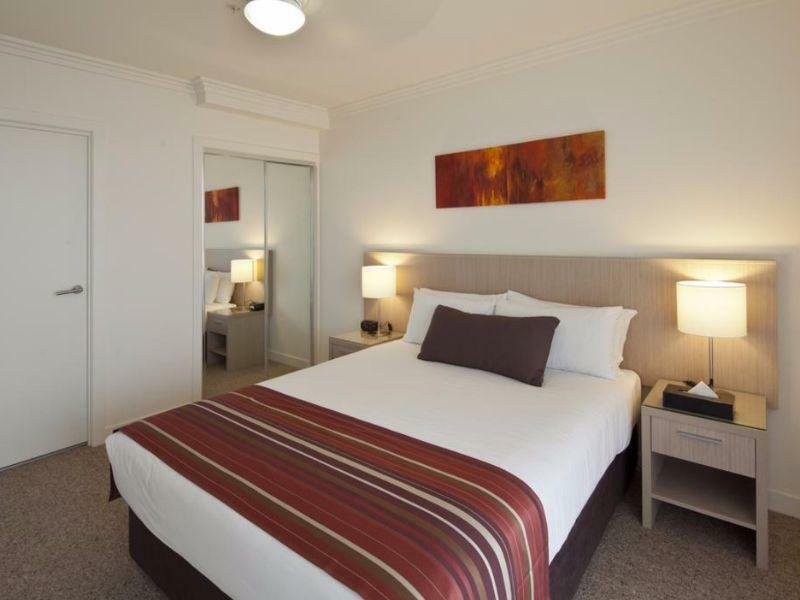 The Best Western Sudima Suites provide very comfortable accommodation for those seeking digs on the South Bank. Still fairly new and within walking distance of numerous bars and restaurants, this place is well worth a look. it was a nice stay in this appartment. I had a late arrivel early in the morning and my key was in a safe outside. The room was perfect, everyday clean, all the facilities including kitchen. The view was OK, looking towards a part of Brisbane. Walking to the city centre was 15minutes, or by cithopper boat for free 10 minutes. The view from the skydeck at level12 is nice too, pool and other facilities not used. i chose this because while attending a conference at the brisbane conference centre for six nights as it was cheaper than the hotels in the immediate vicinity and it looked new. i was very pleased with my studio room that was spacious, very comfortable and quiet. the walk to the brisbane conference centre was about 15 minutes and mostly through the picturesque southbank parkland. if you don't mind walking it is within 15-30 minutes of most things in the city. when i first arrived i found i had left my mobile in the taxi and the staff were most helpful making numerous phone calls on my behalf to track it down. i will definitely make this my default accommodation choice when i am in brisbane. Disappointed that when I arrived at 10pm there is no reception open it closes at 9pm. I had to call and then give out my credit card number details while standing outside the entrance to the hotel. The lap pool is just that a lap pool and it is not even geared to lie and read by or have a coffee by. It is a good location as I say for the Mater group of hospitals as they are just across the road and it is only a short walk into the city across the goodwill bridge and through the botanic gardens so I guess the biggest plus is the location. it is pleasant to stay there as this place just opened in 2011 oct. the studio room has a quite good size and very clean. if you don't have a car, this is a great location. it situates behind mater hill bus station and quite close to south bank and city. View - large balcony. Spacious rooms. only negative was the bathroom was rather small. okay if you are normal sized however, i would imagine it would be difficult if you were a large person to even get in the shower as door cannot open fully without hitting the toilet. very modern and spacious rooms. lovely outlook and great for proximity to the mater hospital.